Happy Friday! Everyone’s favorite day of the week! The other day someone asked me if I online shop for a living. I laughed out loud and responded with “Nope. I would say I online BROWSE for a living!” I’m constantly browsing new arrivals, seasonal styles and new trends because that is where I get a lot of my outfit inspiration. I’ve recently found some great styles & fall pieces, so I thought I would share them with you! Let’s start with this sweater. Super basic, a GREAT layering piece, comes in multiple colors and under $40. (Runs big. I have this sweater in an XS and LOVE it. Described in one word? COMFY). I’ve been loving layering sweaters or striped tees with this quilted vest, which I recently just purchased in grey. That grey vest with these burgundy booties is total fall outfit perfection. Feel like your outfit is too boring? Throw on a cute vest. It adds some fun character to any outfit. Throw on this burgundy fedora hat with that sweater, vest, these booties and this plaid scarf and you have a super cute, versatile outfit. You could even pair that sweater with this flattering skirt and tights for a more dressed up look. For jewels, these sparkle studs are a great everyday stud and this simple choker is such a delicate piece that I’ve found myself wearing with EVERYTHING. And how cute are these inspirational quote cuffs?!? All three of these pieces are great jewels for any wardrobe and would also make great Christmas gifts, especially if gifted with this cute little jewelry tray. We have a couple of trips coming up in the next couple of months so I’m loving these New Balance sneakers for comfort airport style. I’m also adding this fun passport holder to my travel wishlist because I’ve learned that cute travel accessories definitely make traveling more fun. And how beautiful is this Hourglass cheek palette?! This is the perfect palette for traveling because you get so many different colors all in one compact. 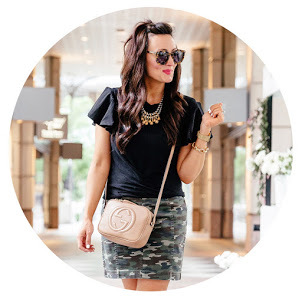 Hoping I’ve helped inspire some weekend style ideas for you! I bought this sweater (#7) in 2 different colors and love it! So cozy!